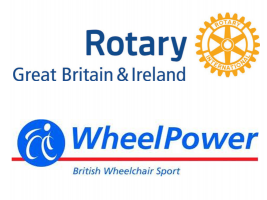 Rotary is about much more than fundraising and distributing those funds to local, national and international good causes – although that is an important part of what we do. Community Service is about making a difference in our local communities through our actions and projects. Some of these projects involve the use of funds raised, such as providing primary school children with a Dictionary for Life, but most involve giving our time, energy and expertise for a wide range of local projects in line with our ethos of Service Above Self. These might be environmental projects involving planting trees, clearing woodland paths or recycling; they might involve providing a direct service to members of our community such as Kids Out or outings for older people or those with disabilities; or it might involve using our vocational skills to enable small charities and voluntary groups to survive in the current challenging funding environment. These projects put Rotary at the heart of local communities. A Wheelchair on a Steam Car? Rotary may have saved my Life! 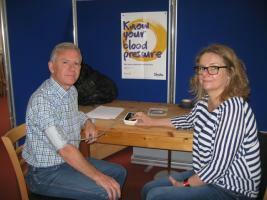 Rotarians were out at Poplars Garden Centre checking blood pressure.